Japanese superstar Yuzuru Hanyu unleashed his burning desire to win as he finished runner-up at the World Figure Skating Championships on Saturday to wrap a season he struggled to keep his shape. Neither of his programs were error free, but they were enough to show the world the 24-year-old double Olympic champion has returned in strong form. While he said he is disappointed that he was unable to go home with the gold, Hanyu said he has a larger desire to improve grew as he shared the podium with Americans Nathan Chen and Vincent Zhou. "I was able to focus all my emotions internally and have a strong internal core. I was able to do all of that during my performance, so that was good," he said. "I'm proud to be here and compete against these two wonderful skaters. I want to thank them for making me feel like I want to become a better skater." 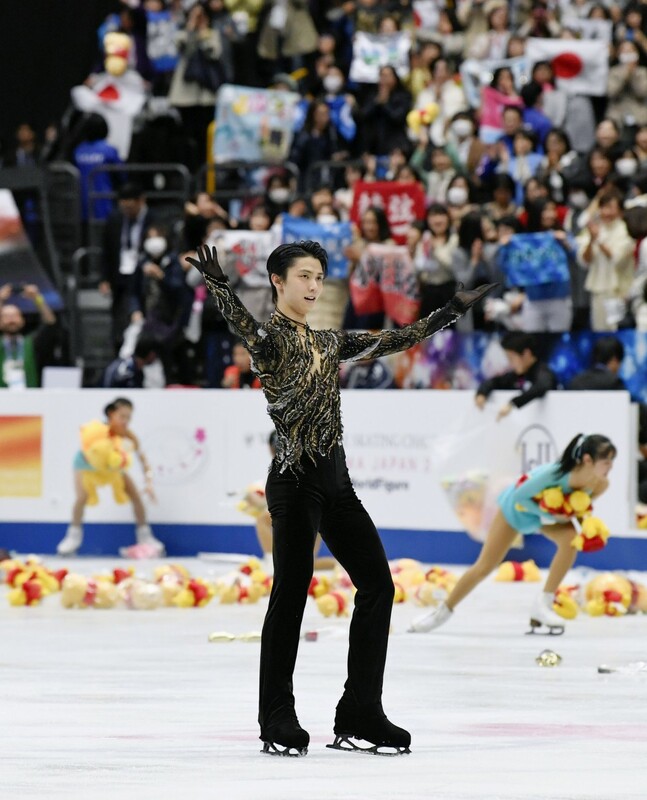 Before the competition at Saitama Super Arena near Tokyo got underway, Hanyu said the fire in his heart has been "burning brightly and going wild" in his comeback from a four-month injury layoff. He indicated that playing it safe at the worlds was not an option, and included a quad loop in his free program despite a right-ankle injury suffered practicing the jump at November's Rostelecom Cup. Hanyu fought through the pain and topped the podium then, but shocked his fans when he required crutches to collect the gold at the medal ceremony. 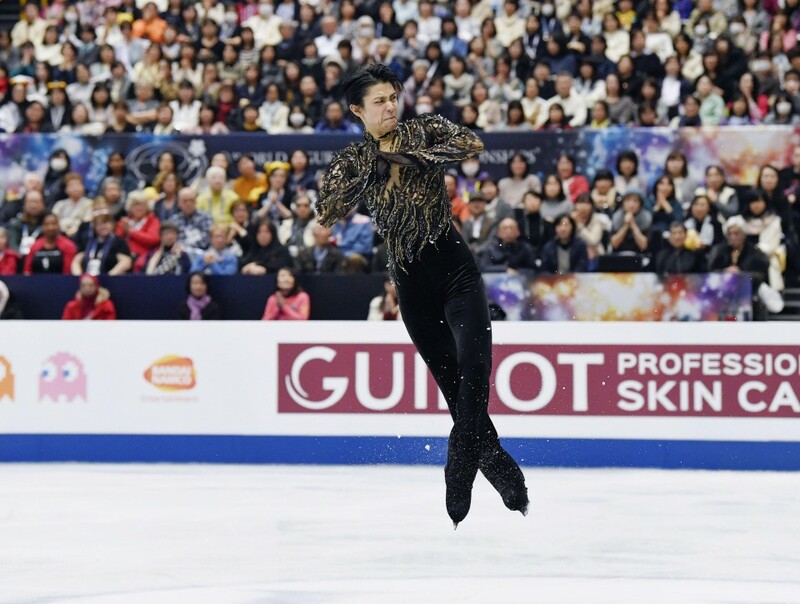 He had skipped all competition since then, including the Grand Prix Final and the Japanese national championships, and only resumed training on ice in January. "I struggled so much to just watch competitions (during the layoff). It was like I had the oil and flame, but it was just sitting there burning inside a small room," he said before the tournament. While he made a costly error when he missed his opening quad salchow and turned it into a double in Thursday's short program, Hanyu nailed his opening quad loop to finish behind the defending world champ Chen in his free program. Hanyu finished 22.45 points behind Chen, who maintained his lead thanks to a free program that featured four quad jumps. While Hanyu's numbers and results seemed perfect before his layoff, he has revealed it was not a smooth cruise. He became the first skater to land a quad toe loop-triple axel combination at November's Grand Prix event in Helsinki and won with the world's highest total since the judging system was revised last summer. 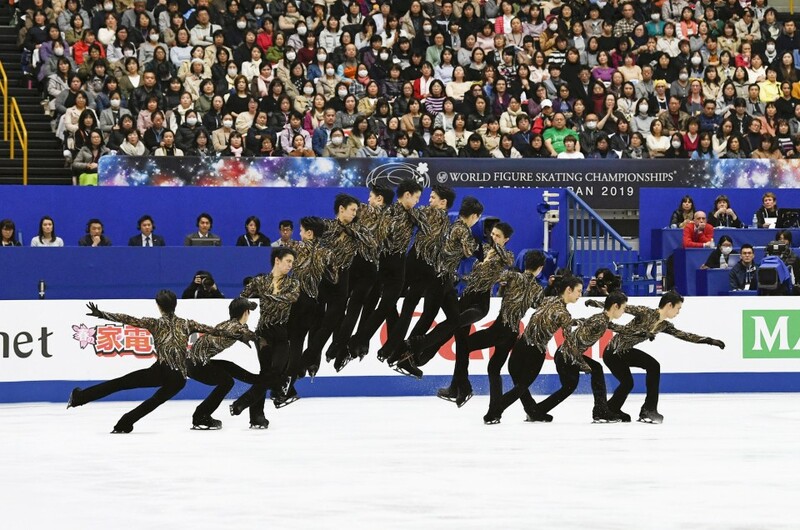 Following last year's Pyeongchang Olympics, where he became the first skater in 66 years to defend his men's title, Hanyu was motivated to add a quadruple axel to his arsenal of jumps. The star, however, revealed after Helsinki that he "gave up" on the jump in order to brush up his technique after he had been unable to open the season in top shape. "I used to think that there's no meaning (in skating) if I didn't attempt the four-and-a-half rotation jump, but it made me realize how much technique I'm lacking," he said. "I put pressure on myself to skate a clean program because I'm giving up on the quad axel." He remains one of Japan's most popular and successful athletes, his performances producing a shower of stuffed Winnie the Pooh bears fans throw to him on the ice. Hanyu promised to continue to impress the crowd, skating with big goals. "Of course I want to nail a (quad) axel. I'll do it in competition, because otherwise I think there isn't much meaning to it," he said.